For years, I was a cortisol junkie. During some of the most difficult times, stress hormones helped me function in the world. They gave me the energy to assist my family, to plow forward through work projects, to ‘make it’ in New York City… but the effects of stress were wearing me down and my account was overdrawn. I was always chasing the next fix, trying so hard not to burn out. In Yoga Tune Up®, we describe blind spots as areas in the body that are overused, underused, misused, abused or confused. But what is it called when your entire body is a blind spot? In the fall of 2013, my “blind spot” was called Jonathan McKinna. A year had come and gone since my mom passed away, and my heart was still broken. I was also clinically depressed, but I didn’t know it yet. 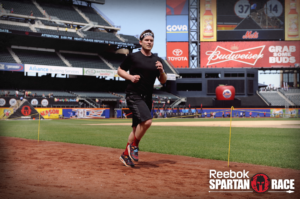 As one does when they’re feeling discombobulated, I signed up for a Spartan Race and the punishing 6-week boot camp to prepare for it. Me, the guy who recoils from even the slightest whiff of competition, who threw the 4th grade spelling bee in the final round by leaving out the “i” in “memoir.” I think I just needed to commit to something, to know I had to be somewhere three times a week. Up to this point, I’d relied solely on my mind to help me heal. I read countless books about grief on beaches, in subway cars, and in bed — when it hurt too much to do anything else. But what I experienced as I pushed, pulled, lifted, slammed, ran, rowed and jumped past outdated protective boundaries, is that I could lean on my body too. Resilience is written in my DNA. A few days later, I rolled into Ariel Kiley’s self-massage class. This myofascial massage and deep stretch class featured relaxation techniques for pain, tension and beyond. Over the next two years, I rolled onto almost every part of my body. I rolled along to Jill Miller CDs in the evenings on the kitchen floor at home. On weekends, I organized loved ones to roll together. Rolling stimulated my body’s relaxation response in such a powerful way that by the end of a therapy ball session, I couldn’t resist “rest-and-digest” parasympathetic dominance. It slowly and silently rewrote my body’s operating system. I had no choice but surrender. I didn’t recognize the change in me until one day, during Savasana at the end of class, something was different. I felt sorry for the people who were leaving instead of wishing I was one of them. You’re missing the best part! In boot camp, I learned how to listen to the beat of my heart. In Savasana, I learned how to listen to the wisdom of my heart. It said: Be here. You need to slow down and rest. Savasana was the antidote to all of this up-regulation and chronic stress. It broke the cycle that could’ve killed me. Be here. You don’t have to look away or numb. I hadn’t hit rock bottom, but I could see it lurking on the horizon. I quit drinking and realized an anti-depressant was necessary. My consistent practice of purposeful relaxation also made it obvious when the medication had served its purpose, and it was time for me to work with my doctor to gradually decrease my dosage to zero. Be here. You have a purpose. And so each week for over year now, I bike to a friendly little yoga studio by the park to share my story. 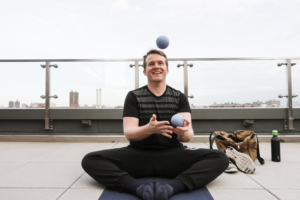 I show others how to love themselves by rolling on rubber balls too, and how to listen, in the stillness of Savasana, for answers of their own. On the ride home, I feel my legs pedaling and my lungs breathing, and all of me is grateful. You are an inspiration. Often times in savasana, I am already in my head and thinking about what I have to do after class. I then start to feel guilty about it and end up not experiencing the beauty of giving my body a rest and losing out on the renewal I can get from that. My goal is to let myself use savasana now to help me consciously relax. Something, I desperately need. Thank you. Oh Jonathan, I too cleared out a lot of misery in 2018 and my body has completely changed in the past six months; physically yes, but the hugest change was mentally. The obstacles that I prayed for answers to leap over became non-existent and I became a better friend, practitioner, daughter, sister, significant other and a better overall me. I love this story of overcoming and I wish you nothing but the best as you pursue your own personal path to even higher greatness! Restorative practices can be so powerful. I teach vinyasa yoga classes as well as restorative yoga. Rarely to I have a student that attends each type of practice, almost all stick to one type of practice despite my urgings to try something new. We often stick to old patterns and are unwilling to venture into those “blind spots”. Wow! What a journey you are having! Your honesty and clarity are such precious gifts! I am so impressed by your rolling get-togethers! I think I have just about used up my quota of exclamation points, so I will sign off with the request that you keep on sharing, please! This is beautifully written. I get a little bummed when people leave before Savasana because of that same feeling of wait – you are missing the best part. Especially because you know the students who are regularly leaving probably need it the most. I try to have the long view and think someday they will discover that incredible feeling of savasana (hopefully before they are in crisis mode) and really try to include the slow down, quiet, restful part of class prior to a final relaxation posture. 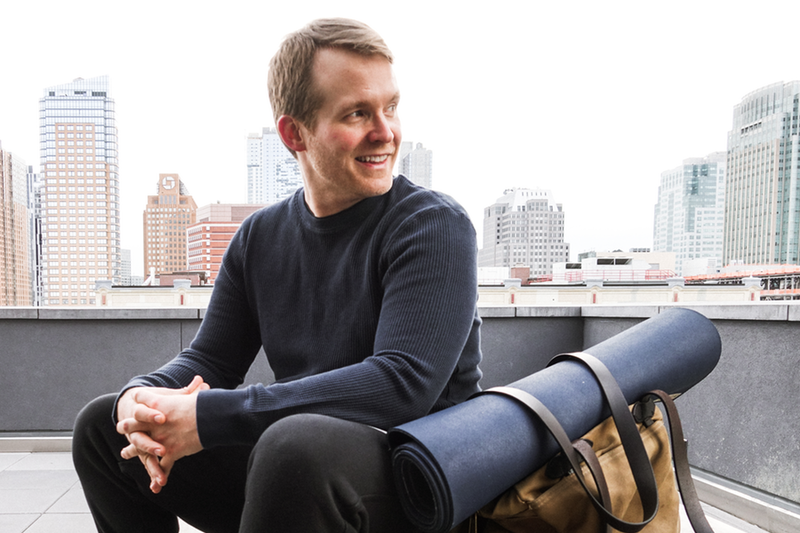 Great to hear how powerfully Savasana influenced your life! It made me recall that when I was first trying out yoga classes, I was not comfortable with the idea nor understood the use of Savasana and wanted to skip out (but I always stayed). After much practice, I look forward to it at the end of practice, appreciate the calm that it brings, and also feel like folks are missing out if they leave class early! Beautiful, heartfelt post. Thank you for sharing a part of you. Pretty amazing to live, breathe and teach your passion and you definitely seem to have found your niche. I, too, felt the power of savasana and it changed my world. I just finished the YTU training and look forward to certifiying in the Roll Model as well. Thank you for inspiring! Thank you for sharing your story. What a beautiful message to listen to the wisdom of your heart! I used to be one of those folks who bolted for the door after yoga so I could avoid dealing with the crowd in the locker room. I “had to stay” for Savasana purely by accident a few years ago and doing so has completely changed my movement practices for the better. Glad for the happy accident. Great read!!! Loved it – love adding ball work to my Gentle Stretch class! Beautifully written, Jonathan! Restorative Yoga Club rules. Thank you Jonathan! I love your story and I love to hear that you are now teaching rolling and self-massage in Restorative yoga classes. That makes much sense for me. I love this story Jonathan. Such heart and honesty… And truth for so many of us who don’t stop to take care of whats most important: our mind and body. When and if that fails, everything we’re working so hard for fails around us. WoW! it always touches me so deeply when I here or read story’s like yours! It is really inspiring and shows us that it is never to late! The tools are there, but we have to find them and use them. Having inspiring guides of your kind makes world better! It is so true that taking care of our self is a way of taking care of others. So let’s all roll and roll again and relax in Savasana! Thank you so much for your sharing Jonathan ! I see myeline pretty much in it ! I have had a hard time since the birth of my son (6 and a half years ago) who as an orphan disease, and I can find a lot of relaxation tolls in yoga tune up !!! Savasana and massage with the balls are so helpful !!! Wow! This is so powerful! “But what is it called when your entire body is a blind spot“ – gave me chills. Grief and depression separate or combined wreck so much havoc on our bodies and minds that we lose ourselves. I know can I have been there, am there. I am fighting my way back now. Using a similar path of working out, moving on the breath, and myofascial release using YTU therapy balls. Thank you for sharing your beautiful journey. Thank you for sharing your story. Whenever I teach a restorative class, ball rolling or yin, I remind students that this practice of down-regulating the nervous system isn’t a “nice-to-do” – it is a MUST do. And after you do it for some time, you can’t imagine why anyone would ever steer clear of a restorative practice. I like that you found solace in strengthening as well. Full spectrum!